Create Your Life. Live The Magic. 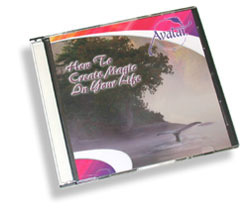 This audio CD is a great way to get an overview of the Avatar Materials. It features real people who have become Avatar graduates describing their enlightening experiences with Avatar. On side two, Harry Palmer, the creator of Avatar, personally leads you through an exercise that reveals your higher self. "Many people want to know how much of their life is determined by the way they think and the things they believe. Avatar operates from the perspective that what you believe has consequences in your life; that your experience of the universe has at least as much to do with what you believe as with anything that’s happening outside of you. The Avatar Course helps you make the connection between what you are experiencing and the belief you have that is creating the experience. The purpose of the course is to assist you in returning to the level of consciousness at which you are the knowing creative source of your own beliefs." For people looking to design their own life. For anyone interested in understanding what the relationship is between experience and perception.